A man was stabbed at the CTA Blue Line Jackson station in the Loop. 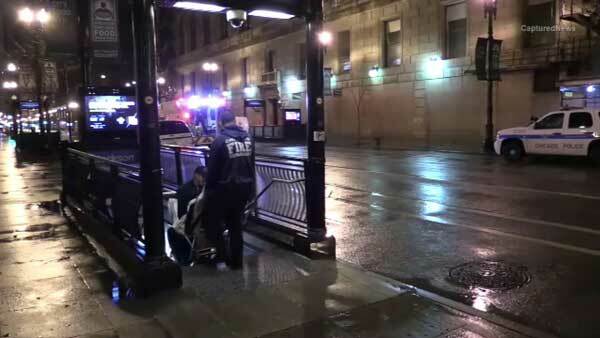 CHICAGO (WLS) -- A man was stabbed at the CTA Blue Line Jackson station in the Loop. Police said three homeless people got into an argument on the subway platform around 3:50 a.m. Monday. A woman allegedly pulled out a knife and stabbed a 27-year-old man in the back. Police said she got away on a train heading to Forest Park and the third man walked away from the scene. No one is in custody. The victim was taken to Northwestern Memorial Hospital, where he is listed in stable condition. Police said the incident was isolated and the CTA was not affected.